every time i type vegan into grubhub (which is often), a little joint called river valley farmer's table pops up. but i'd never tried it. so when my pal (hi, tedi!) suggested a lunch date there, i was all about it. 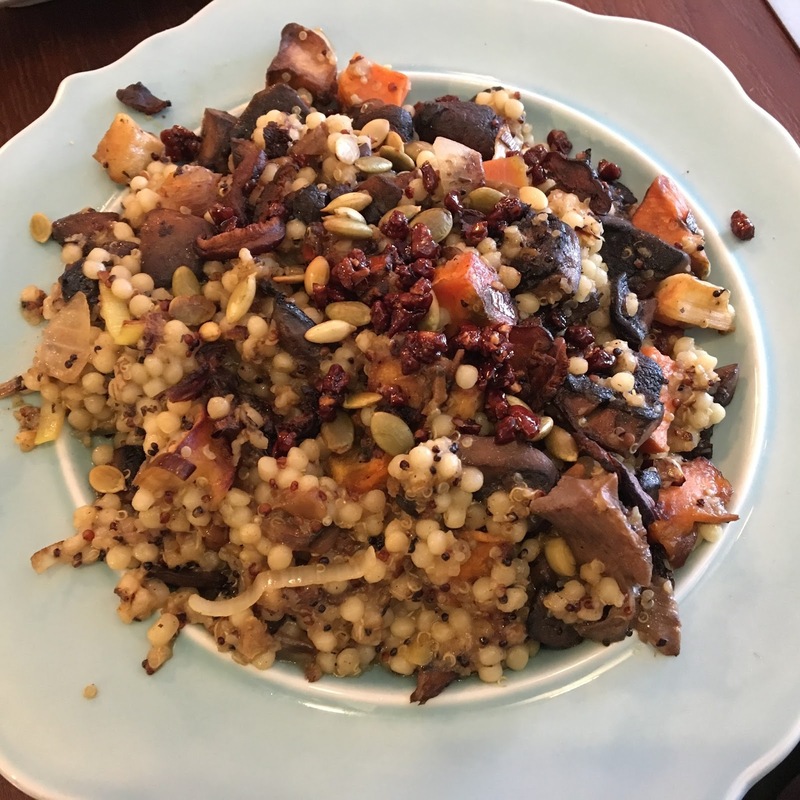 river valley farmer's table has this to say : "we are the best place around to grab coffee, tea, sandwiches & drinks while also collecting the freshest locally grown ingredients for your dinner." love it. a "share-friendly" plate of house-made natural pickled farm veggies. i love pickled things. 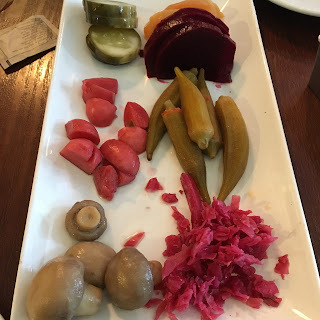 my favorites were the beets & cucumbers (aka pickles). 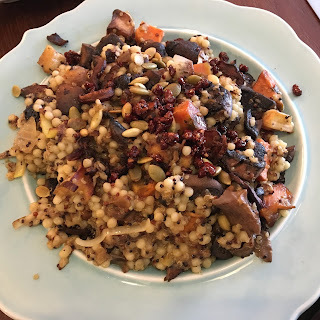 curry quinoa, israeli couscous, organic mushrooms, roasted peppers, dates, shiitake "bacon," candied nuts, pepitas. i was hesitant about this due to the mushrooms, which could not be omitted. the shiitake "bacon" was actually awesome. maybe the first time ever i liked a mushroom preparation. the rest of 'em, i just picked around. i will say ... i quickly learned that every vegan menu item at river valley farmer's table includes mushrooms. i was about to be all about the tamales of the day, but they were mushroom tamales. oops. so basically, if you love mushrooms, this place is heaven for you. i do want to look around the shop/grocery portion of river valley, though. there was a vegan muffin that caught my eye right when i walked in, but i forgot to grab it on my way out. there's always next time!